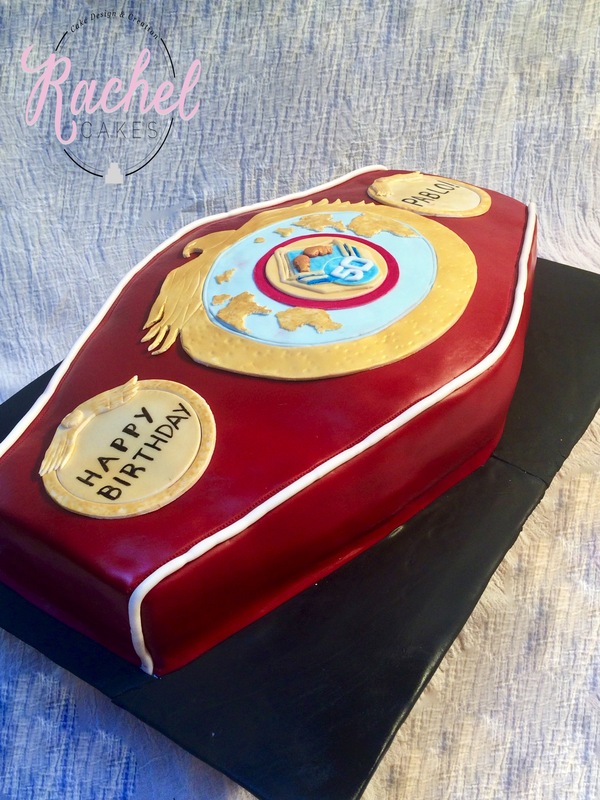 N O T H I N G about boxing. Other than the fact that Ali was the king, and George Foreman wasn’t always known for his grilling in the kitchen. BUT, it couldn’t be just any championship belt. It had to be personal. And on that note, when doing a themed cake I always try to take the direction of the client along with my design ideas, and then add in an element that they are not expecting but still follows along with the theme. 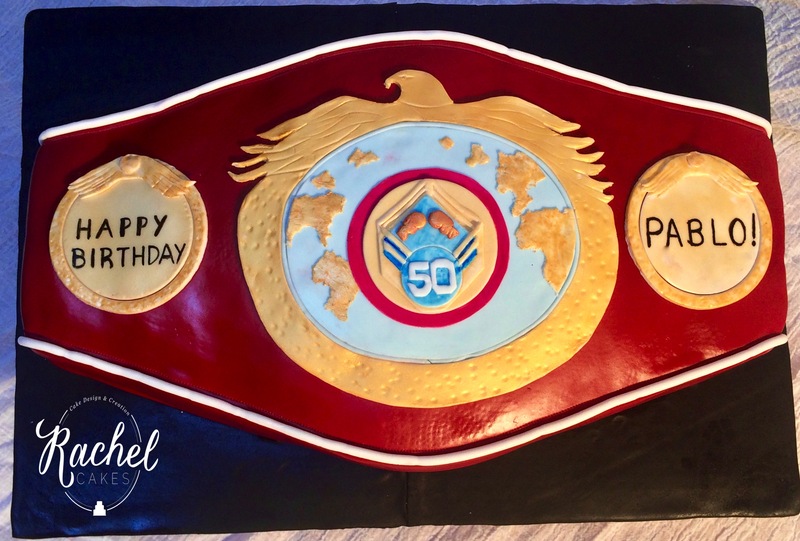 After deciding on the belt idea, I did some info gathering with the wife and daughter of said birthday boy and discovered that in a fight being televised at the birthday celebration, the surprisee’s choice would be competing for a belt. 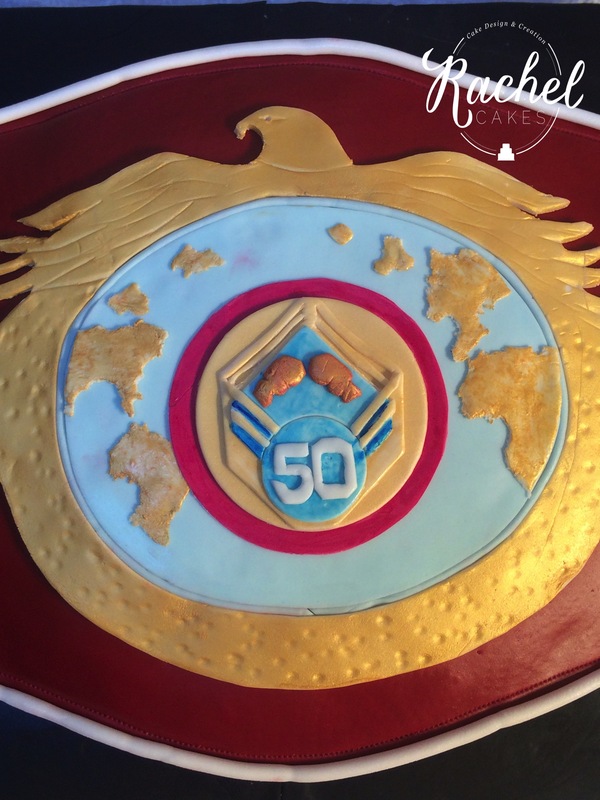 After finding out that he owned a belt in the WBO organization, I decided to recreate one of theirs. But, of course, with a little bit of ‘birthday tweaking’. Burgundy is a very deep colour to tint so I first coloured the fondant with some reddish tones but finished it off with the airbrush for a more realistic hue. 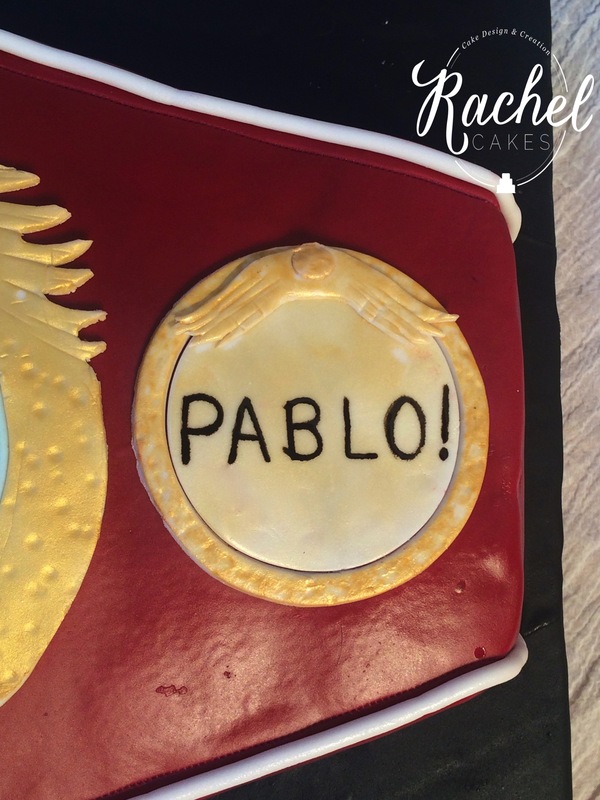 HAPPY 50TH BIRTHDAY PABLO – YOU’RE A KNOCKOUT!!!!!! 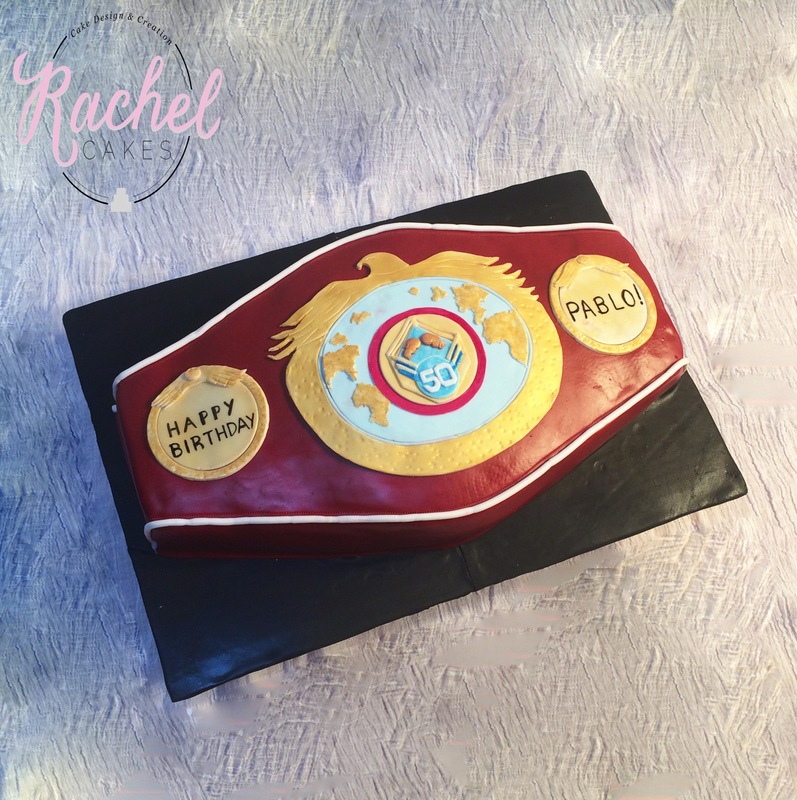 ← A Blogger, A Cake And A Baby!